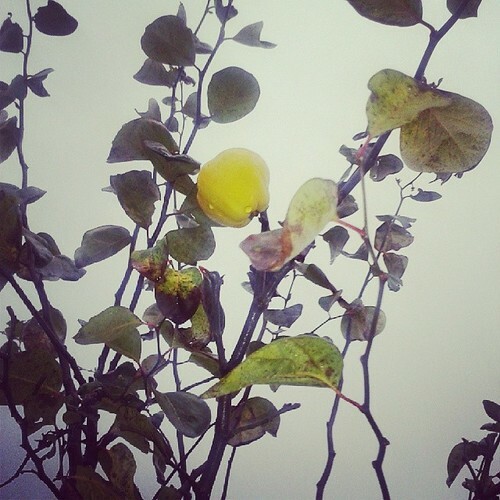 Lone quince, a photo by PhylB on Flickr. I noticed today, now that most of the leaves have blown off our quince tree, that we missed one fruit when we were picking them last month for jelly. It looked rather atmospheric on the bare tree with the grey, winter backdrop. I think I'll leave it there until the first snows or fog. I think it'll make for a nice photo.